All are invited to a coffee & mince pies morning in the village hall from 10am until midday on Saturday, 5th December. Admission is £1 and there will be a cake stall, bring & buy and produce stall. This entry was posted in St Annes on 24th November 2015 by AdminTJP. 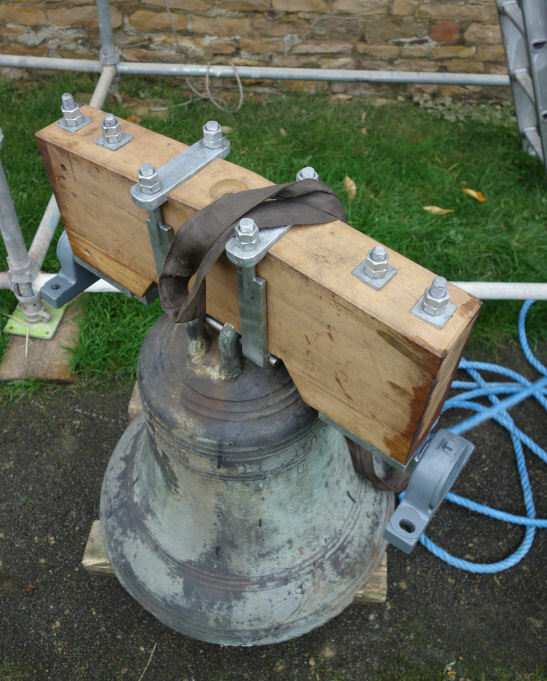 The church bell at St Anne’s will sound before noon on Thursday, 3rd December and every Thursday thereafter, prior to a weekly meeting for prayers commencing at midday. Starting Monday 30th November, Yorkshire Water will be replacing a water mains pipe which is prone to bursting. Work is expected to last for “nine weeks” and will affect most of the village. Here is the letter from Yorkshire Water. This entry was posted in Parish News on 22nd November 2015 by AdminTJP. 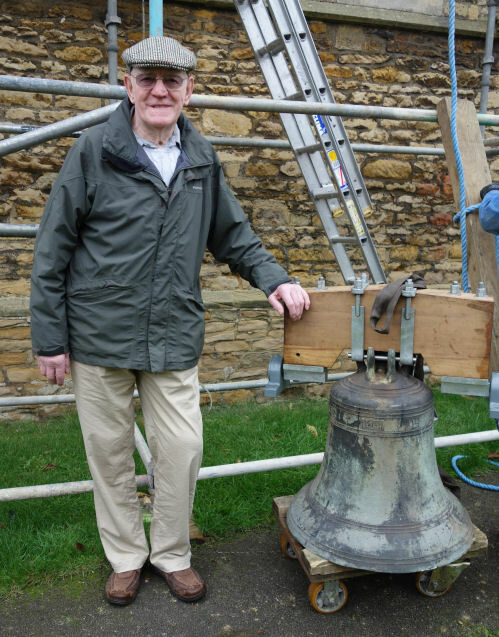 The bell at St Anne’s returned from the Whitechapel Bell Foundry on Wednesday and is now back in-situ with a brand new headstock, fittings and bell rope. Here we see the bell with it’s ringer – Dennis Cooney. This entry was posted in Parish News on 6th November 2015 by AdminTJP.